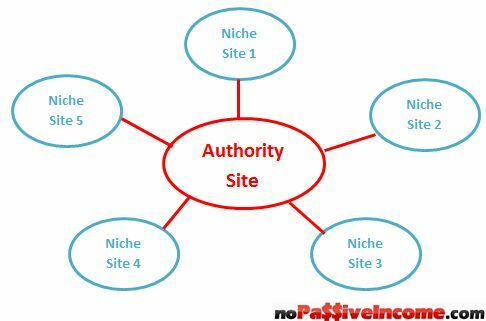 What is Your Business Model - Authority Site or Niche Sites? A few of you know that I participate in 30 Day Challenge. The idea in brief is to set up semi-authority niche site (what does it mean 😉 ?) and compare the achievements with others on 1st November. Blogosphere was boiling with anger and site owners were shuddering with fear. Do you remember that? Did you lost some traffic or maybe your AdSense account was also banned? Okay, no more complaints and hassles – lets go to some news and facts. In this post I want to share with you my point of view about niche and authority sites and my business model. At the end I will ask you about your opinion and your preferences – niche or authority sites? Okay, and how about my business model? On English market NPI (NoPassiveIncome.com) is my first, hopefully not last website. And I plan to make some things different than I did on Polish market. I want to create at least two authority sites (including NPI) and around them having about 5-10 related niche sites. I want to diversify income sources as well as traffic sources also for niche sites. And what do you think about it? Please share your business models or all of your opinions about niche, authority sites or my business model in comments below. Semi-authority is something between an authority and a micro niche site. A site that can pretty much run on auto pilot, but still has a lot of content that gets regularly updated. A site like your NoPassiveIncome probably takes all your time and is an authority site. I like your ideas about building large authority sites. I am interested to see how things turn out. Nice post. I think an authrity site is the best because it is less risky. Just one algorithm update from Google can wipe out all your traffic if you just optimise for 1 keyword. I think it is best to go for an authority site because of this but it will take longer to get your ROI. Hi Andy, I also think that authority site is less risky. Thanks for stopping by! Definitely authority site, because I’m in this for the long haul! Also I have no patience for the intensive SEO needed to get a niche site to #1 in Google (and then constantly worrying about losing that spot). I figure if I provide solid, linkable, keyword rich content on my authority site, I could eventually rise to high Google rankings naturally. Interesting idea about the smaller niche sites pointing to the authority site… I may put that into practice! Hi Shayna, thanks for your point of view. Niche sites are definitely easier, but as you said, they are one update away from having to start all over again. At this point, I would do the authority site. As the projection for long term is so much more profitable. Great business model, by the way. I like your bisuness model…..and you don’t believe that even i am also having similar business model…. using my blog I am trying to get my targetted audience and then I’ll create my other blog/service website around my main blog. I have already spent 10 months on it and i think I need one more year to make my blog as a brand. Thanks bro for sharing your business model with all of us…. usually people love to hide their business plan…..
Hi Sandeep – a lot of people change their business model after G. Penguin. And I think a lot of them (including you and me) has similar business model – authority site + some satellite sites. You are right Chris…. that people have changed their Business model after big G changes…..but its a nature of business…..we have to change our plan according to market situations. I’ve learned a lot from Steve myself Chris and although people love the ease and quickness that niche sites can bring, your best bet for long-term success is with authority sites. I honestly believe it would be in the individuals best interest because not everyone enjoys doing the same type of work. What I mean by that is some people love creating niche sites over authority sites. I actually have both but I started with the niche sites first so they were already up and running before I created my authority site. They are still making me money so no harm came to those with Google’s updates. Great post and I can see where there could be a major debate about this but like you said, no one really won because people just have differences of opinions on this subject. Hi Adrienne, thanks for stopping by. I also like Steve’s blog, and I agree with most of his tips. But in some cases I don’t agree with him (for example about initial investment). In my opinion time needed for creating authority site should be also “counted”, because it’s the most important investment. In my opinion the Authority site is more easy to set up and has a lot of possibilities to make money from. I have already created two niche sites for now, but as I’m focusing on my Authority site, I don’t get time to work on niche sites. Can you tell me how will you manage your time working on those sites? Over at Kings of Azon we do a little bit of both… niche and authority. We’ve seen success from both. Right now we’re focusing on a few authority sites which take much more time to maintain and grow as well as a much larger number of smaller niche sites that once ranked we don’t typically add much more content. We feel that both have their place going forward and it’s best to do a little of each. A great way to figure out which site(s) are yours should go from niche to authority is look at your highest earning sites. Really dig into them and figure out if there is an opportunity to go from a niche site generating the income you’re seeing now to a much more authoritative site with some extra work. Hopefully you’ll be rewarded with that effort. thanks for your comment. I like your idea – trying a niche site and if it will earn money for us, building an authority site. Nice post. I find myself focusing on authority sites versus niche sites (even though I’ve done both). I suppose I like hedging my bets more than being laser-focused! Thanks for the information about the pros and cons in Niche Sites. I never know some of this information and thanks a lot for sharing this, this is very applicable for me personally. You are welcome, Danyelle. And thanks for stopping by. I’m glad you enjoyed the debate over at the Adsense Flippers. I think that both Authority sites and Niche sites have the ability to make us a lot of money. Both have their pros and cons, but that doesn’t mean that either one of them should be ignored. 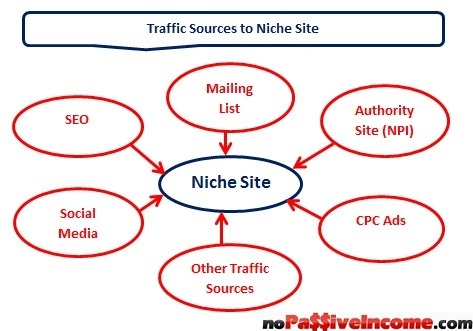 This is really an indept analysis of authority sites and niche sites. For me having a miss is a wise idea. As you rightly pointed out both have their own cons and pros. I’ve a few niches presently only thing is that they are not related and therefore not linked. But I’ve been thinking along the line of making my main blog a central hub and building some mini niche sites around it. About fearing Google doing some thing in the future that will affect your niche sites, I think there should not such fears. If you have followed Google’s algorithm updates over the years, you will discover that they have been saying the same thing only that a few want to go overboard with their SEO tactics. So, building your niche sites on the right SEO foundation from the start will beat any form of Google algorithm change. I think you are going down the right path as I think an ‘authority’ sight has the best chance for survival for the long term. Google slamming niche adsense sites kind of shows that they are frowning on those type of sites. I am glad that I did not go the route of creating hundreds of them. That was the popular advice a few years ago. Hi Chris, thanks for sharing this great article. Niche sites brings passive income, but may end up at times, while authority sites needs regular updates but will always keep on bring revenue. That’s my view :). Hi PrIyAnGsHu, thanks for your comment. I have found that it all depends on what you hope to accomplish with the site. 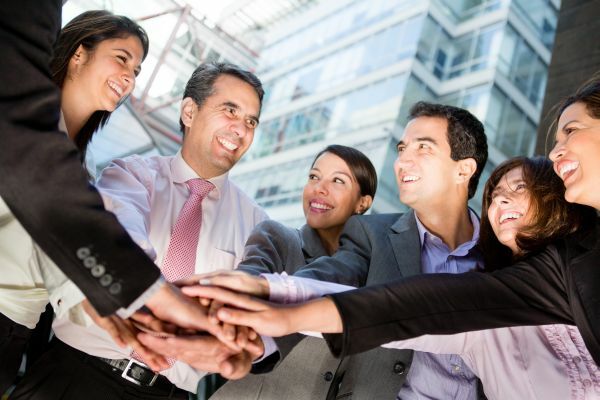 If you are after name recognition an expert status, authority site is where to go. If all you seek is money and you do not care fore the respect and recognition, you are safe with niche sites. thanks for stopping by. 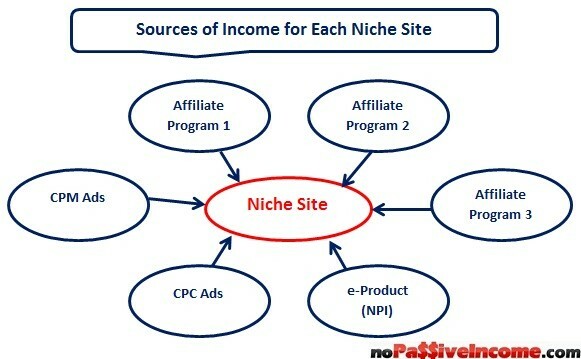 I agree with you that most site owners which make money online have both affiliate and niche sites. In some cases great niche site transform into authority site. I only build authority sites now and sites that support those authority sites. In the business model that I use, my authority sites are like niche sites anyway. The only difference between authority sites and niche sites in my opinion is the quality of the site itself and what the intentions of the site owner are. If your intention is to build a site that truly benefits the visitor and is intended to be the best possible help you can offer that visitor, then you ahve an authority site. Pretty good ideas here. I am also planning something similar where currently I am developing an authority site and will have a couple of niche sites that will focus around it. I haven’t tried this method yet, but will see how it works out. Good luck to you. My aim has always been to become an authority in my niche. Make sure that people who are interested in your niche come to you first.